Shrink Tunnel is an essential part of any Shrink Wrapping System. It is here that the actual process of Shrinkage takes place. The product / pack loosely wrapped in shrinkable plastic film shrinks & gets tightly wrapped around the pack. 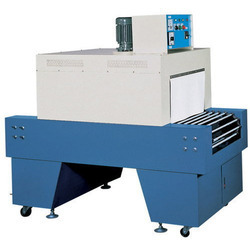 We are the manufacturer, importer and supplier of Shrink tunnel machine in India. is readily available with us. You can install this machine very quickly and it's very easy to use for Shrink Wrapping boxes, books, gift items, cartons, bottles, jars etc. 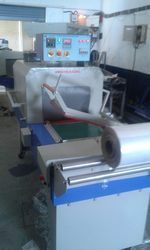 By keeping track with the technological development, we are offering optimum quality Shrink Tunnel with Web Sealer. Our offered shrink tunnel precision-designed to cater the needs of different engineering industries. The heat shrink packaging machines are quite suitable for the gift’s confectionery, cosmetics, bottle, etc. - Standard time tested Equipment. - Extended input and out put conveyor. - Integrated control panel for centralized operation.